When a family needs to move across the country, large trucks are rented and filled. When mom or dad needs to take a weekend business trip, one suitcase and carry on will usually do, and it sure would be a waste of money and resources to rent a large moving truck. If you’re a manager of an MHE operation, you can see the same concept in your warehouse – sometimes you need 50,000lbs of inventory moved in one go, but other times, less than 2,000lbs of materials need moving. Using a forklift would be killing a fly with a sledgehammer, and workers attempting to carry inventory trip-after-trip could lead to injury and damaged products. Since you’re trying to maximize safety and efficiency, a cart caddy might be the solution. Platform Carts: Electric platform carts are self-powered walk behind carts capable of toting heaving products and equipment. 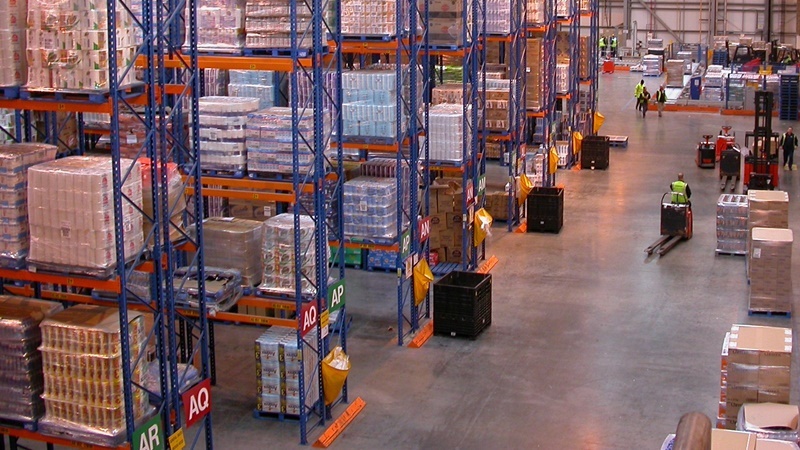 Having the operator behind the cart provides clear sightlines and ability to follow warehouse traffic markings. Side Steer Carts: Side steer carts are self-propelled carts that move heavy products and equipment. Their side steer design allows cart movement to be push or pull larger loads that hang over the edge of the cart. Industrial Carts: Higher capacity carts, capable of moving up to 3,000 pounds of products and equipment. Carts are easy to steer and customizable to best suit your operation’s needs. Drum Caddy: This cart is designed to prevent injuries and risk to damaged inventory and equipment by negating the need to tip and move heavy barrels by hand. Unlike forklifts with a clamp accessory, these smaller MHEs are easier to operate when space is at a premium. Waste and Dumpster Caddies: With OSHA requiring electronic record keeping about injuries, many businesses have turned to waste and dumpster caddies. These caddies handle one of the warehouse’s biggest causes of injury – teams of workers manually moving heavy waste bins can be replaced with one worker easily moving the bin with the waste caddy. Cart caddies are the perfect go-between for many MHE operations, and if you have questions about whether or not they can work for your warehouse, HCO Innovations is here to help. Feel free to call us at 1-888-755-9566 or submit an inquiry through our contact portal, and we can talk about some solutions.